TNT is an American basic cable and satellite television channel. 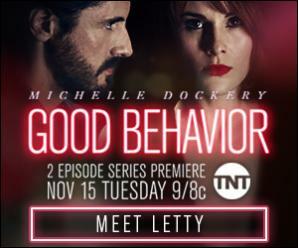 Letty Raines is a thief and con artist who is always one bad decision from implosion. Fresh out of prison, she's attempting to stay afloat. But when she overhears a hit man being hired to kill a man's wife, she sets out to derail the job, sending her on a wild collision course with the killer. Check out our bloggers review of the show for a chance to win a $100 Gift Card! Behave Sweepstakes on BlogHer runs from 11/1/2016 through 11/24/2016 and is only open to individuals who, at the time of entry deadline, are legal residents of the United States and are 18 years or older. Click "here" to read the official rules. Winners will be randomly selected from all eligible entries. Good luck!